Are you after that unique gift? Something that shouts out wow?! Me and Maxwell are huge fans of books in this house. Every night before bed I read him one short story, I think this is very important as it helps him with his development. Hallmark recently sent us one of their characters from there Story Buddy range and me and Maxwell were really excited. We were sent Abigail. She is a little fluffy bunny with big floppy ears and wears a pink leotard with a tutu. At first I thought she was very girly for Maxwell but I have now came round to the idea, not only would she be the perfect Easter present for any child but also why can a boy not like pink! 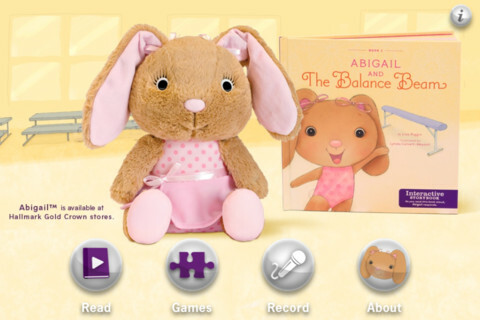 Abigail comes with her own story book "Abigail and the Balance Beam". 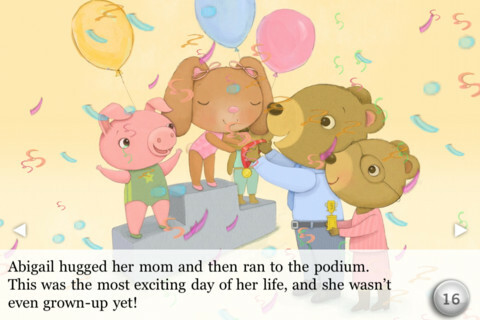 The book is all about Abigail trying her very best on the balance beam, and never giving up. The concept of the story buddy is very simple, Abigail responds to certain sentences that can be easily picked out in the book as they are written in pink. When a clear adult voice reads these phrases, Abigail will say something that fits in with the story. Abigail responds to clear voices and may not pick up the quieter, softer tones. For Abigail you can also get ‘Abigail and the Tea Party’; a story of a special tea party hosted by Abigail’s mummy and ‘Abigail and the Lost Purse’ which follows the discovery of some dress up clothes. These are stories that she is also able to interact with. You can now also download an app suitable for use on iPhones and iPads, that includes a short animated story about Abigail that can be played aloud through the app’s internal narrator or recorded by a loved one to add a personal touch to the tale. 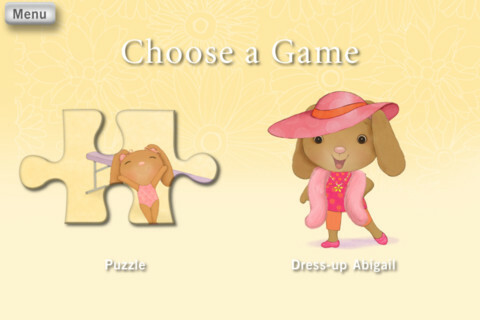 The app also includes child-friendly puzzles and an interactive game that lets your child play dress-up with Abigail. Overall I would rate the Hallmark's Story Buddy Abigail 5/5. You can find a range of Story Buddies on Hallmarks website.